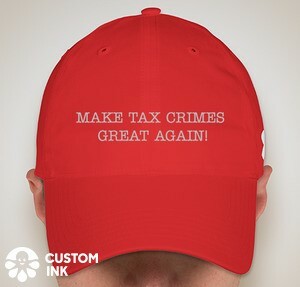 The Treasury Inspector General for Tax Administration ("TIGTA") recently issued a report titled: Criminal Investigation Division Resources Devoted to Supporting Recommended Prosecutions Can Be Enhanced With a Stronger Strategic Focus (TIGTA Reference Number: 2010-30-036). The report discusses issues with respect to administration of CI resources for assistance prosecution pipeline cases inventory(cases after referral to DOJ Tax) in relation to its ordinary cirminal tax investigation case load (pre-referrral). Since on the subject of TIGTA reports, TIGTA does annually produce a report with a statistical "portrayal) of CI acvitity over a multi-year period. The most recent report is titled Statistical Portrayal of the Criminal Investigation Division’s Enforcement Activities for Fiscal Years 2000 Through 2008 (TIGTA Reference Number 2009-30-053). This report has a number of charts and graphs with useful information and analyses, particularly trends because of the multi-year information. Among the items discussed is the effects of the increase in pipeline inventory which is the subject of the most recent TIGTA report noted above. This annual report is dated March 26, 2009, so a new one with fye 2009 data should be forthcoming shortly. Section 523(a)(1)(C) provides the taxes are not discharged "with respect to which the debtor made a fraudulent return or willfully attempted in any manner to evade or defeat such tax." In Hawkins v. Franchise Board (Bankr Ct. ND CA No. 07-3139 4/23/10), here, the IRS and the California Franchise Tax Board sought to deny the debtors, husband and wife, bankruptcy discharge of their tax liabilities because (i) they had filed fraudulent returns and (ii) they had attempted to evade collection of tax "by dissipating his assets on unnecessary and unreasonable expenditures while he knew he owed taxes and knew he was insolvent." The husband was well-educated and earned a lot of money working in Silicon Valley (Apple and Electronic Arts). He sold a large amount of stock and perceived a need to shelter the gain. He fell in with KPMG who hawked him FLIP and OPIS shelters (two of the shelters involved in the big KPMG criminal case in NYC). He then fell on hard times but continued to live a high lifestyle, even while knowing that he owed the IRS the tax. The Court noted that he continued the high lifestyle even after they were insolvent. After the IRS assessed some $21 million, he submitted an offer in compromise to pay about 38%. He paid some of the tax but still had unpaid tax. He and his wife filed Chapter 11 bankruptcy to deal with the tax liability. The Debtors then asked the bankruptcy court to confirm the discharge of the liability (i.e., the nonapplicability of the Section 523(a)(C) exception). It is a difficult question whether Trip Hawkins acted with intent to defraud in filing the returns in question. An objective, well-trained tax professional would have known that the claimed loss deductions lacked substance and would not be upheld if challenged. Trip Hawkins clearly has the financial acumen to understand why the FLIP and OPIS losses should not be allowed, and once the IRS challenged the deductions, Debtors never contended that the deductions were valid, and immediately tried to opt into a settlement program that would have allowed them only a small portion of the losses they claimed in their returns. At the same time, however, the FLIP and OPIS shelters were extremely complicated, and at the time Trip signed the returns in question, he held opinion letters from tax professionals stating that it was more likely than not that the claimed deductions would be upheld. These opinion letters were themselves so long and complex that they helped to disguise the lack of substance in the FLIP and OPIS transactions. A reader who posted a comment here suggested that I do a separate blog good faith attempts to do a voluntary disclosure. Historically the voluntary disclosure practice here invited taxpayers in but had certain disqualifiers based on timeliness where the IRS was already aware or involved with the specific taxpayer's misconduct. Specifically, Chernick's Defendant Sentencing Memorandum clearly states on pg. 3 of 17 the he began the Voluntary Disclosure process on February 5th, prior to the DOJ having his name. Now his paperwork was not submitted to the IRS on February 24th, which is actually pretty fast, but the point is that he made a good faith attempt at a Voluntary Disclosure. Actually this highlights a subtle point - that there are two might be two types of untimely voluntary disclosures - those begun before the government had a subject's name and those begun after they had a subject's name. While both might be good faith, clearly someone who began the process before the government had his name has a much stronger good faith defense. Yet not only is there no recognition of that in the charges that Chernick faced, but he faced the same charges as Rubinstein who presumably did not do this. After this startling discovery, I am wondering how many of the other early pleas involved people who made good faith, but untimely voluntary disclosures. It terms out Moran submitted a Voluntary Disclosure on March 17th, and presumably began much earlier. Cittadi also submitted a Voluntary Disclosure in early March 2009 (Defendant's Sentencing Memorandum, pg. 6 line 8). On April 14, 2010, the Government filed a criminal complaint in the Southern District of Florida against Mauricio Cohen Assor and Leon Cohen Levy, father and son. They are real estate developers who were either legal residents or permanent legal residents at all times and thus were subject to U.S. income tax and FBAR reporting just as other citizens and residents. The complaint itself is a bare bones Klein tax conspiracy charge. The attached affidavit of the IRS CI Special Agent agent contains the torrent of words and claims the add fluff to a conspiracy charge. There is the now expected allegations of offshore accounts and offshore entities. The bank, reputed to be HSBC rather than UBS, was involved both through New York offices and Swiss offices. The affidavit sets forth some conversations which were recorded, presumably, by the bank. This is pretty or ugly stuff, depending on perspective. We have seen in the UBS matter handwritten notes of phone calls and meetings that are ugly. Recordings are of the same genre, but do tend to nail exactly what was said rather than leaving it to the vagaries of hand written notes. DOJ announces here a new website called Stopfraud.govhttp://www.stopfraud.gov/ established by the Financial Fraud Enforcement Task Force ("FFETF"). The press release touts the FFETF as "the broadest coalition of law enforcement, investigatory and regulatory agencies ever assembled to combat fraud" but urges citizens to do their part. FFETF includes representatives from a broad range of federal agencies, regulatory authorities, inspectors general, and state and local law enforcement who, working together, bring to bear a powerful array of criminal and civil enforcement resources. The website offers information to the citizenry about how to identify and report financial fraud, as well as news of enforcement activities related to financial crimes. According to the web site: "Financial Fraud encompasses a wide range of illegal behavior - from mortgage scams to Ponzi schemes, credit card theft to tax fraud. Everyone is affected by financial fraud." In United States v. Davis, ___ F.3d ___ (5th Cir. 2010), Davis was a preparer who assisted taxpayers by preparing false returns. At Davis' recommendation, the taxpayer added near the signature and jurat the phrase "without prejudice." Davis and the taxpayer were indicted -- one count of conspiracy, 4 counts of tax perjury for the taxpayer, and 4 counts of aiding and assisting for Davis. After a bench trial, Davis was convicted on 3 counts of aiding and assisting. On appeal, Davis argued that the addition of the without prejudice language negated the jurat, thus precluding him from being guilty of the aiding and assisting charge. Davis relied on certian civil tax cases that held that altering the jurat might in some cases negate it sufficiently that the taxpayer has not filed a return. So, as the court of appeals notes in a footnote at the conclusion of its discussion of Davis' argument, it does not matter whether the purported returns were or were not returns, for § 7206(2) covers other documents which are false as to any material matter. (See footnote 4.) Notwithstanding that Davis' argument was a nonsequitur that could have been (and I submit should have been) disposed of for that reason alone, the Court does address the merits of the argument as to whether the purported returns were returns. In cases such as this, where there is some ambiguity as to language's effect on the jurat, we agree with the Seventh Circuit that the IRS "should be entitled to construe alterations of the jurat against the taxpayer, at least when there is any doubt." Sloan, 53 F.3d at 800. "We refuse to require [the IRS] to engage in guessing games to determine what disclaimers like this one mean. To require such would drastically hinder the [IRS's] ability to process returns effectively and efficiently." Williams v. Comm'r., 114 T.C. 136, 142 (2000). Here, the IRS did not reject Oden's Forms 1040 based on the additional language. We therefore hold that the Forms 1040 were valid, though fraudulent, tax returns. The problem, of course, in the case at hand was that the Government had determined that it was in the Government's interest to treat the purported returns as returns because it wanted to charge the taxpayer with tax perjury which, of course, requires returns. But, I wonder whether on these facts, a court might also sustain a failure to file, § 7203, charge against the taxpayer. In other words, does the ambiguity give the Government an election as to how to charge? In this particular case, the Government would not have wanted to charge the taxpayer with failure to file because the really bad guy appears to have been the preparer and thus it needed an aiding and assisting charge to guard against Davis getting off with a full acquittal (assuming it was unable to sustain a conspiracy charge). The USAO for SDNY announces a waive of UBS client charges by indictment, criminal information and complaint. The USAO SDNY press release is here. I have only been able to skim this press release and the underlying documents (many, perhaps all, of which are available on today's Tax Notes Today for those who want to get the documents fast). I will try over the weekend to get a better fix on these charges and report anything that I think is meaningful (i.e., more than just mere cumulative to the earlier reported charges). Today brings a new plea by a UBS client-- one Harry Abrahamsen. This is going to be routine for the next few days, perhaps weeks, so I'll just summarize the key features of this particular plea: (1) Plea to one FBAR failure to file count: (2) used an offshore entity to disguise his interest in the UBS account; (2) had at least two enablers -- a Swiss banker and a Swiss lawyer, named “UBS Swiss Banker 1” and “Swiss Lawyer 1”, respectively; (3) a family member, a daughter, was involved, but was not indicted although having an ownership interest; (4) the amounts deposited into the UBS accounts were "pre-tax" -- i.e., falsely deducted on U.S. income tax returns; and (5) must pay back income taxes and interest (articles do not address penalties on the income tax but presumably penalties will be required) and must pay FBAR penalty of 50% of the highest amount in the account. On a side note, I did notice in the WSJ an article titled "UBS Forecasts Return to Profit." Main Justice has this article titled DOJ Prosecutors Used Meeting to Pry Open UBS. Good article. The article notes that the Swiss fog seems to have broken when DOJ Tax starting moving against the top players. * * * DOJ officials contacted UBS on Nov. 12 to inform it that Raoul Weil, UBS’s global head of wealth management, was being indicted, sparking fear that Chief Executive Marcel Rohner and Chairman Peter Kurer would be next. I suppose that, had those executives been indicted, they would have used the Prince/Rubin defense (see here) -- we just did not know. If they did not know, it is fair to say that their ignorance would have been willful, which, of course, means that they did know. The papers announce today Justice John Paul Stevens' long expected retirement. He is a great judge and will be missed on the Supreme Court and throughout the country. I had first encountered Judge Stevens in arguments in the 7th Circuit Court of Appeals long ago. I found him exceptionally sharp and willing to mix it up intellectually. I eschew war stories here, however interesting they may be to me. Being a tax lawyer and being concerned about the development of the tax law for the good of society as a whole, I can point to one particular matter in which his voice, spoken in dissent, should have been heeded. That was in Frank Lyon Co. v. United States, 435 U.S. 561 (1978), a case that, in my opinion (I am not alone) was wrongly decided by the majority and has had disastrous consequences to the orderly development of the tax law over the years. Therefore, I quote Judge Stevens' dissent in Frank Lyon in its entirety. Although it would help to have read the majority opinion to knew the target he is shooting at, it is not critical. If you have been more than casually involved in or observing the tax shelter industry over the years, you will understand why he is right: The doctrine of economic substance developed on the shoulders of his dissent would have been a lot more coherent. The confluence of three events moved me to put some material on the blog about the legal concept conscious avoidance. Briefly stated, the concept permits conviction for crimes, such as tax crimes, requiring specific intent to violate a known legal duty if the defendant consciously chose not to know his or her legal duty. This may seem contradictory, but stick with me on this. 2. Yesterday, I listened to a presentation on the Forum Network by John Cassidy on his recent book titled How Markets Fail: The Logic of Economic Calamaties (Farrar, Straus and Giroux: Nov. 10, 2009). All of this led me back to the issue the concept of conscious avoidance. I therefore updated my materials from my Federal Tax Crimes book and am posting here the updated section on conscious avoidance. Most experienced practitioners know this stuff instinctively, but students and new practitioners might find something useful in the posted section. There is some noise around the internet that the Swiss Financial Market Supervisory Authority is looking into insurance products referred to as wrappers in which there is a heavy investment component. The products may function like bank deposits or investment accounts that are the focus of the current U.S. initiative against UBS and, at least indirectly, other Swiss and foreign financial institutions. Because these products are wrapped nominally at least in the insurance product the products may disguise what is in reality financial accounts that, if not wrapped, would be subject to the same risks of displeasure from foreign tax authorities as the classic Swiss bank accounts. The most complete article I have seen is Bloomberg's. As I see other information on this subject that materially adds to it or otherwise materially clarifies the story, I will amend this brief post as appropriate and link to them. For DOJ Tax's most recent pat on its own back, see its release titled Justice Department Highlights Tax Enforcement Results. 1. Chernick's Claim: "that in response to increasing pressure applied by the US justice authorities on UBS in the summer of 2008, he had arranged for USD 45,000 to be paid via his attorney and a Swiss bank executive to a Swiss government official in return for information on the US administrative assistance proceedings, and in particular on whether his UBS accounts were under investigation by the US Internal Revenue Service." 2. The Investigation: "Chernick's contacts in Switzerland were questioned in detail on the allegations made. In addition, a reconstruction was made of relevant money transfers. It emerged that although a related transfer had been made at the critical time to the Swiss attorney, the attorney was able to explain the transaction and provide proof that the money had been used legitimately. Chernick was also interviewed in the USA in the course of mutual assistance proceedings. He was, however, neither able to provide details of anyone who may have received bribes nor to give any further relevant information that could have substantiated the allegations." 3. The Conclusion: "The investigations of the previous months have failed to disclose any specific indications of criminal conduct or more particularly bribery within the Swiss Federal Administration. Accordingly, the OAG has abandoned the criminal proceedings in accordance with Art. 106 of the Federal Criminal Justice Act."